The French style doors can be located on either of the 4 side and comes with a double lock and heavy duty handle. 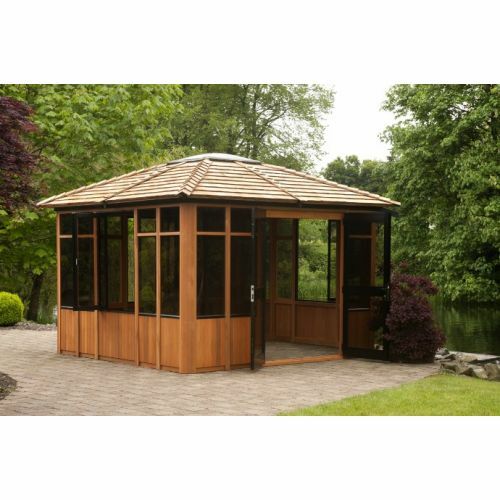 The Tamihi gazebo made in Canada from Canadian Red Wood has a cedar shaker style tile roof and the central sky light, which is UV resistant, allows in natural light and offers a beautiful viewing platform to admire the stars in the evening. 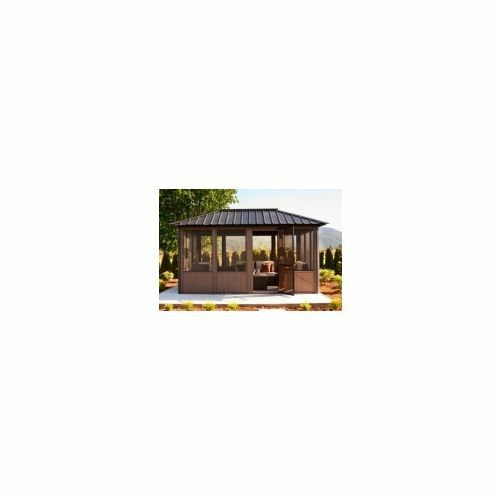 The Tamihi would be the perfect gazebo for hot tubs up to 240 cm x 240 cm and there is enough room for the hot tub steps, and the hot tub cover lifter to clear the roof and sit behind the hot tub within the cedar gazebo. 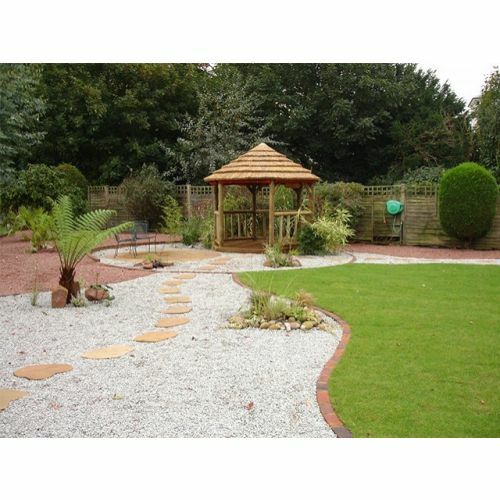 This easy to assemble cedar garden building does not need planning permission and can be assembled within 4 hours. Large windows and insect screens combine with a locking aluminum door and huge skylight to make this a well featured model. Complete with a vinyl window kit and bay kit. Inclusive of delivery & installation. The perfect pizza oven for use at home. 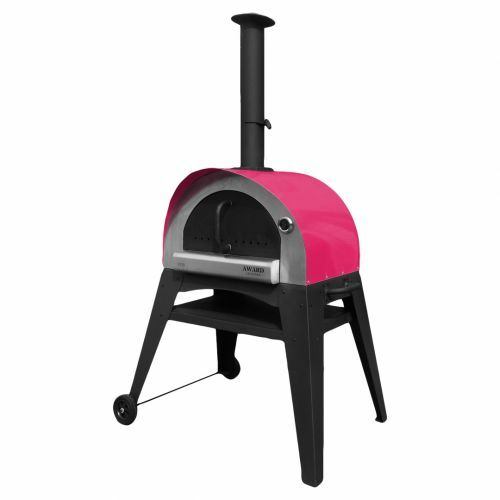 Just 52 cm deep, the oven Pizza e Brace can be placed anywhere. Light weight and small in size, this oven is also ideal for gardens and balconies. 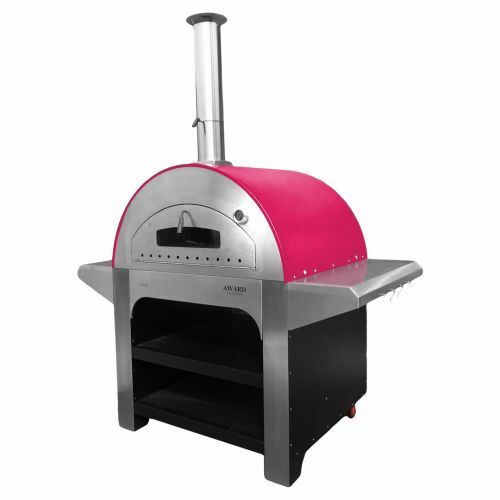 The broad mouth (52 cm) allows pizza to be cooked on one side and a roast on the other. The Pizza e Brace oven can also bake cakes, mixed grills (meat, fish, vegetables), dishes cooked in earthenware vessels, and all dishes that can be prepared in a conventional oven. The front door allows for ventilation and air circulation while also retaining the oven up to temperature. The internal dome is made of strong, light thermal stainless steel. The cooking surface comes in our exclusive refractory material. Castors ensure easy moving both indoors and outdoors without a hitch. After you’ve finished cooking for your guests, you can bake up to 3 loaves of bread (1.5 kg) after the oven has been left to cool for a few minutes. Allegro is the largest oven in Award Leisure’s Pizza Oven range. Its dimensions and technical features place the oven into the professional’s pizza chef category. The Allegro has been designed to meet the daily requirements of both family and a large number of friends. The cooking surface is made of refractory tiles and the stainless steel dome has ceramic fibre insulation. For more products like this, click here for our online brochure! 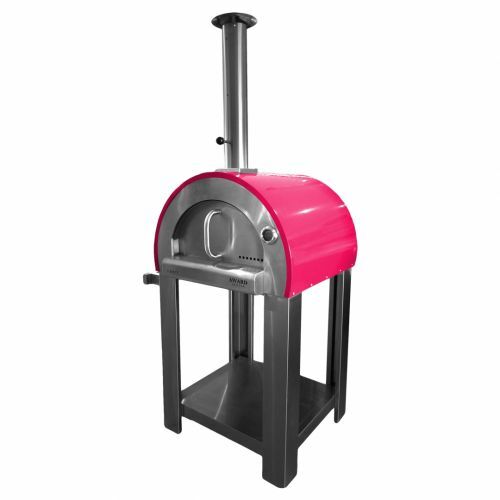 The large dimensions and mouth are ideal to cook 4 pizzas in 90 seconds, and 4 kg of bread with every oven load. 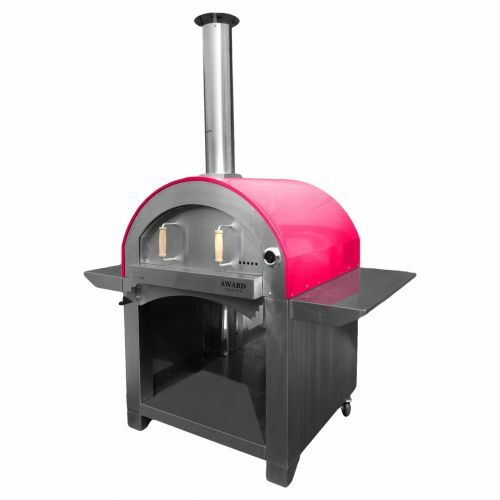 Our 4 Pizze wood-fired garden oven can even be used on balconies or terraces. It features the same refractory floor as used in professional ovens. The stainless steel dome allows the cooking chamber to rapidly reach operating temperature. Ceramic fibre insulation maintains long-lasting warmth and cuts down wood consumption to a minimum. It is fitted with extremely useful stainless steel lateral shelves to place oven trays, ingredients, oven dishes and necessary cooking accessories. With the built-in peel holder, necessary utensils for wood-fired cooking are always within hand's reach. 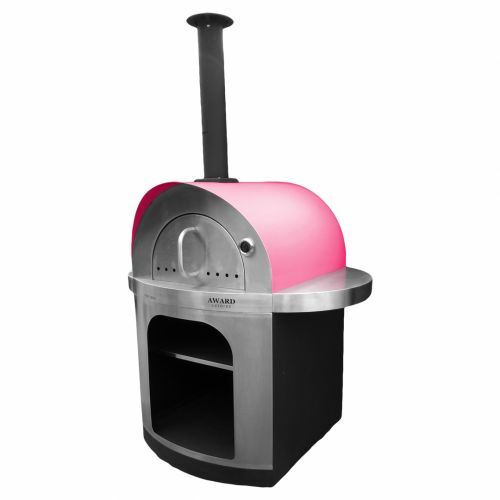 It is a compact wood-fired oven for bread and pizza with castors allowing you to position easily in your garden. This wood-fired oven is designed for balconies, terraces and gardens. The 5 Minuti has a refractory oven floor a stainless steel domeand rapidly reaches your ideal cooking temperature (in 5 minutes)! The Ciao cooking surface s manufactured from refractory material, the oven roof is 100% stainless steel and the window on the oven door is the trademark of our wood-fired oven family. Simple to use thanks to our unique technology, and also easy to move thanks to the large wheels, the new Ciaos are perfect for cooking pizza, bread, roasts, grills, earthenware dishes and desserts ... everything that you love to cook with a traditional oven, with the healthiness and genuineness that only wood cooking can offer. Naturally, without giving up to the design. 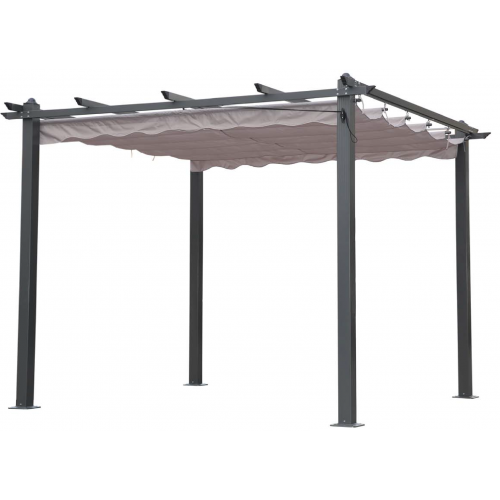 This beautifully crafted outdoor gazebo has been designed to complement your garden area, so you can make the most of your outdoor space whatever the weather. You have the option of canvas panels to every side, a roof curtain to make the interior 100% waterproof and a bar and high stools to add to either side of the balustrades. These stunning Tiki bars are perfectly suited to those with a large outdoor space. With a generous sized counter top, and a complete cabinet set on the inside, there’s plenty of space for all the glasses, drinks and accessories that you need to create some mouth-watering cocktails. With room to seat 6-8 people you can show off your bar skills and impress your friends. 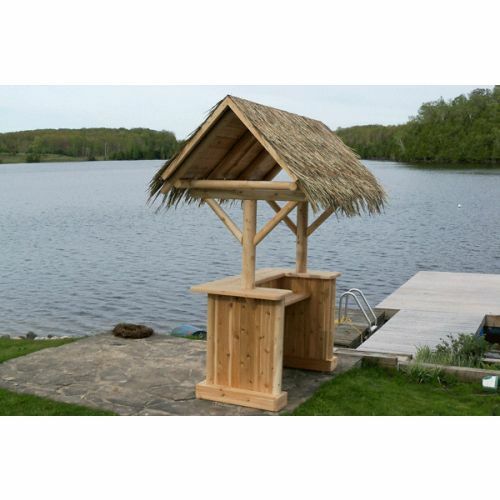 With or without a roof, this Tiki bar will bring a touch of tropical paradise to your garden. ThIs stunning Tikki bar is perfect for outdoor parties. With a generous sized counter top, and a complete cabinet set on the inside, there’s plenty of space for all of the glasses and drinks.